Butterflies and the stunning patterns on their wings are a true wonder of nature. 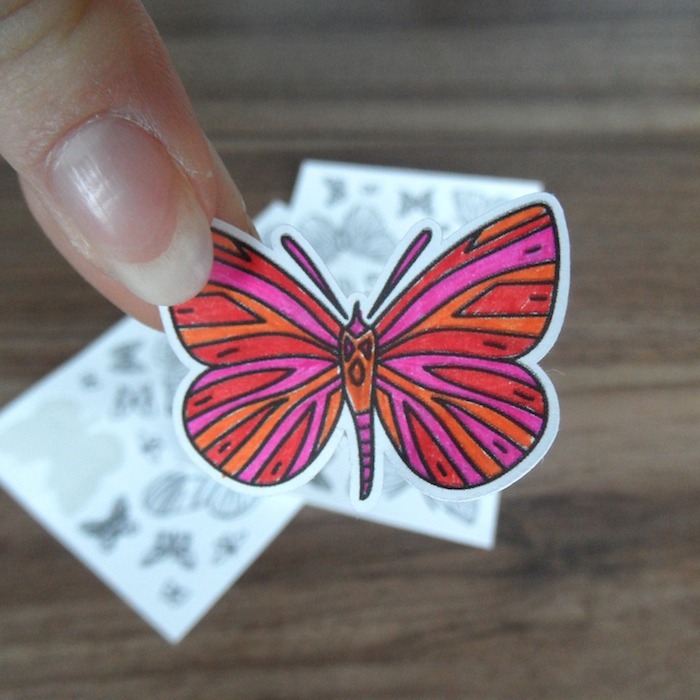 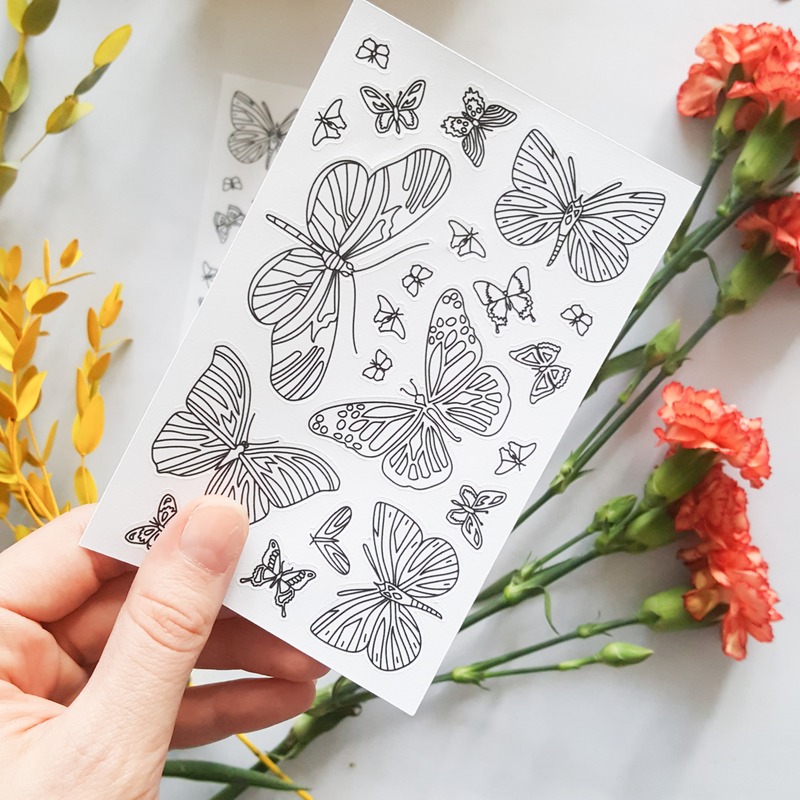 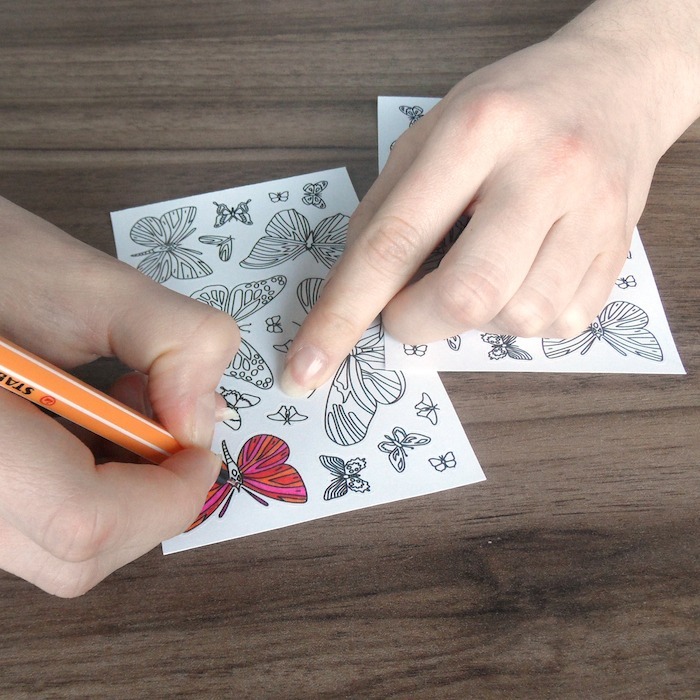 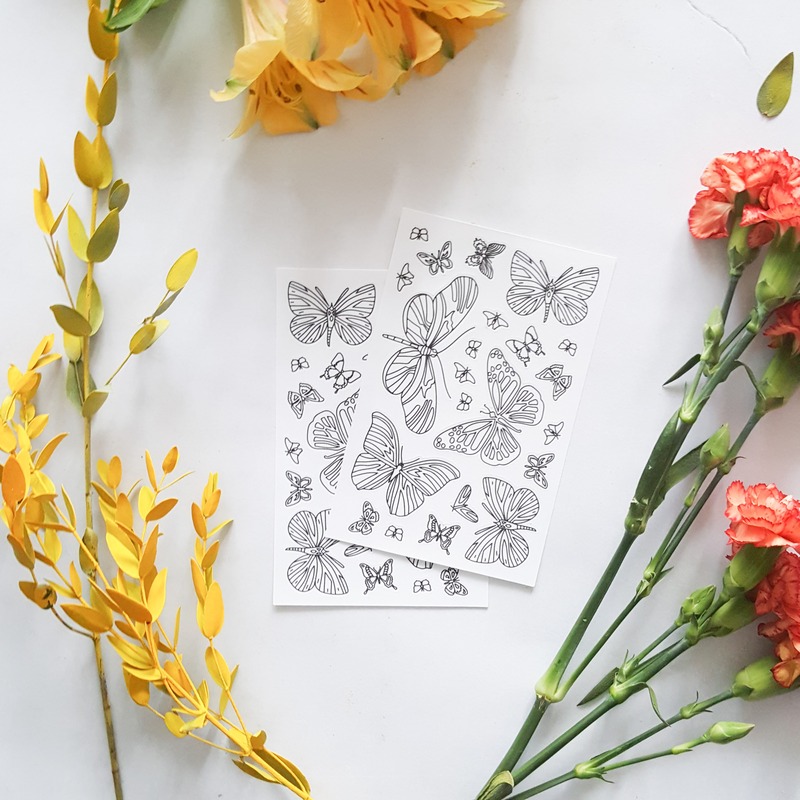 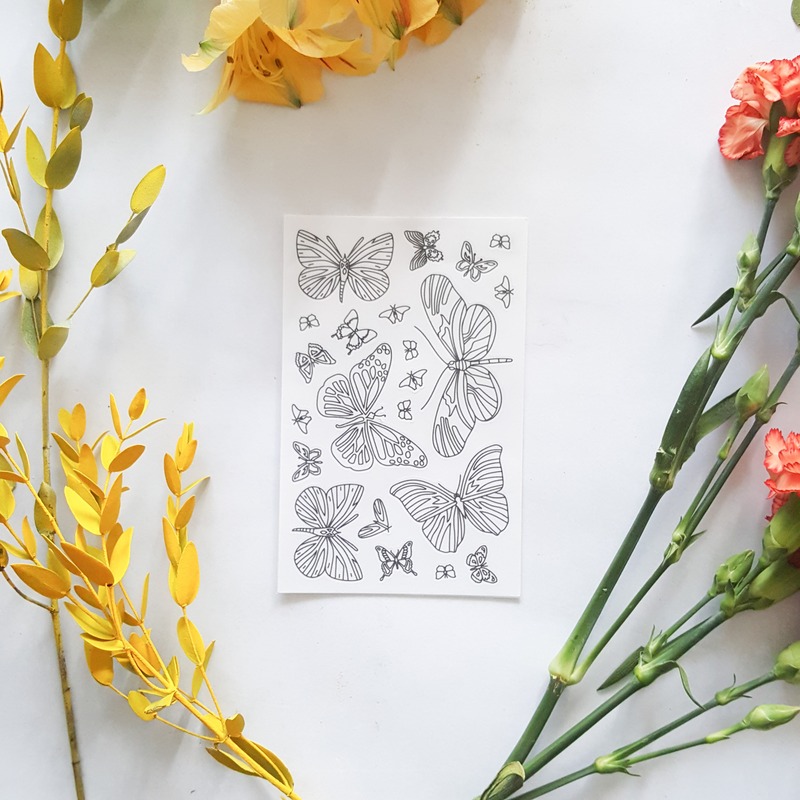 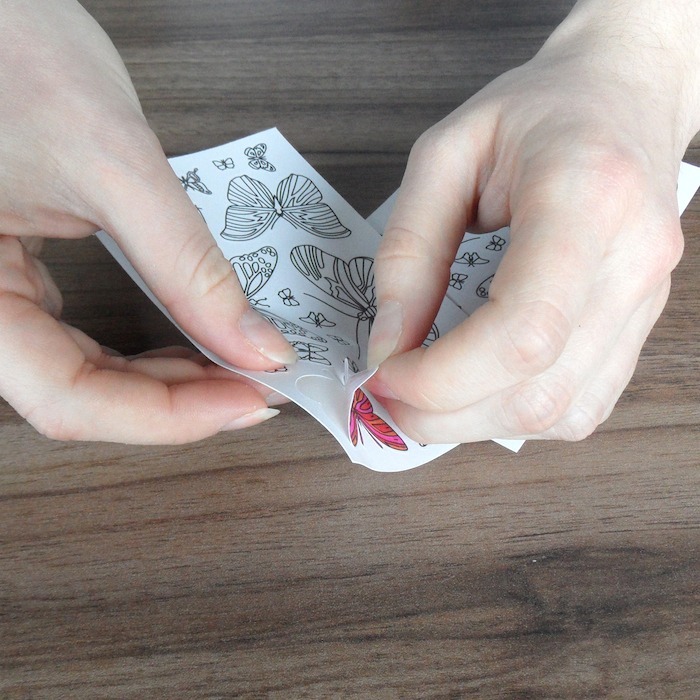 With the coloring stickers, you have the chance to combine your favorite colors and create the butterfly from your dreams! 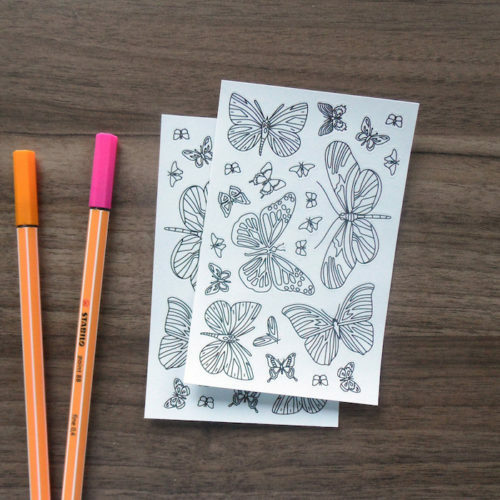 They make a beautiful decoration for either a planner or fresh new school supplies. The sheet of stickers fits into a book or planner, which makes it easy for you to take the coloring fun anywhere! 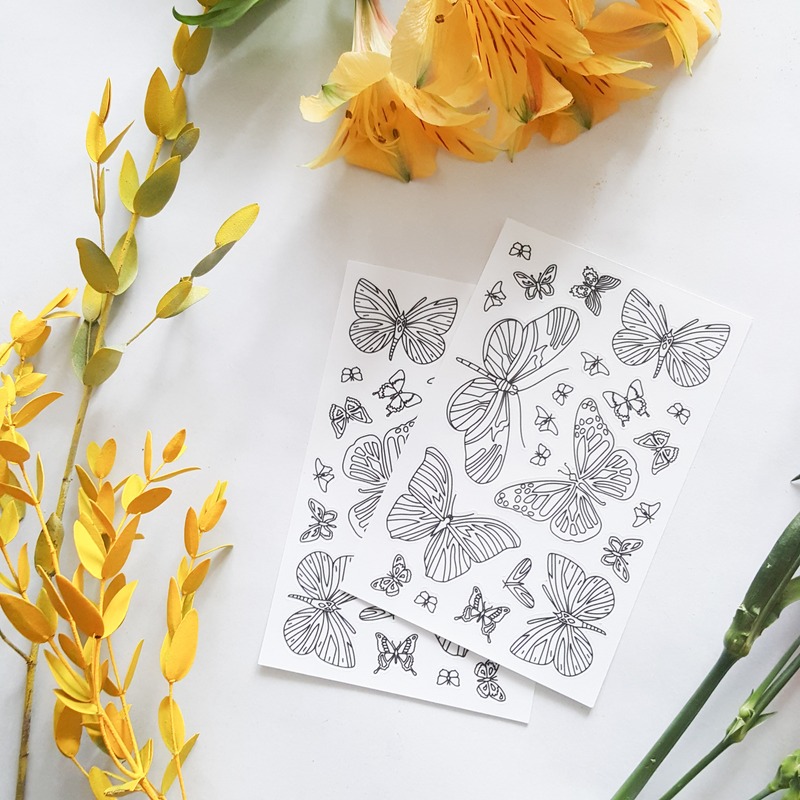 Because we all need a small break, when we’re always “on the go”. Each set includes 2 sheets of coloring stickers. 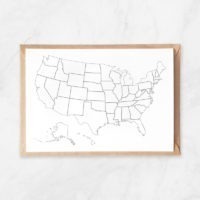 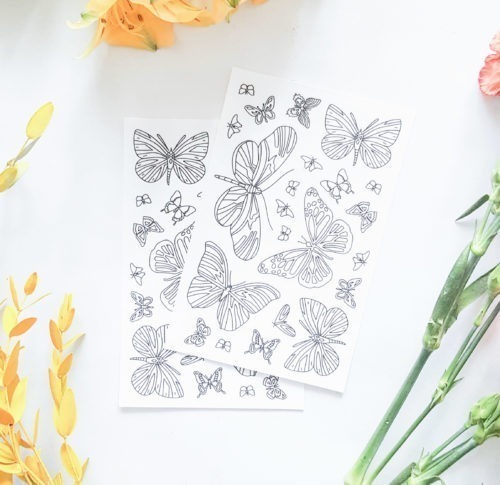 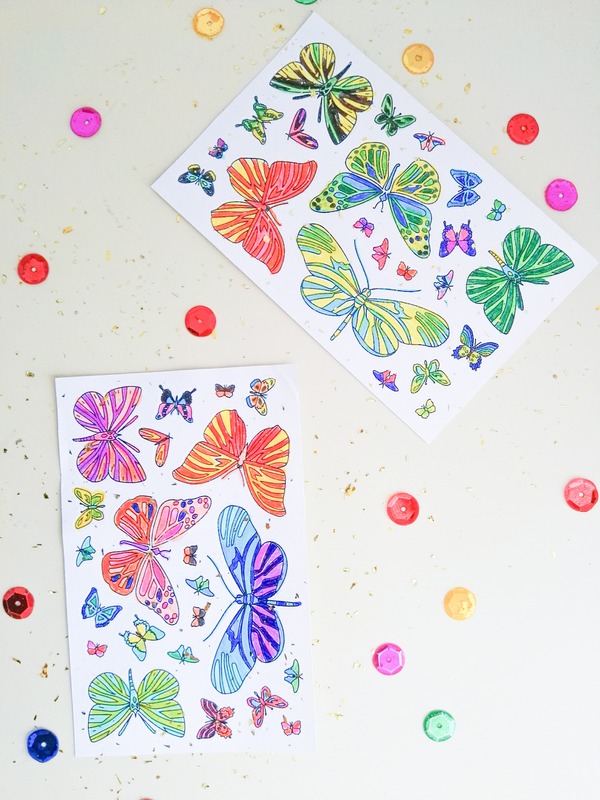 They are printed onto white adhesive paper, so you can color them in with any of your favorite supplies. Just what i was looking for…and nicely made! 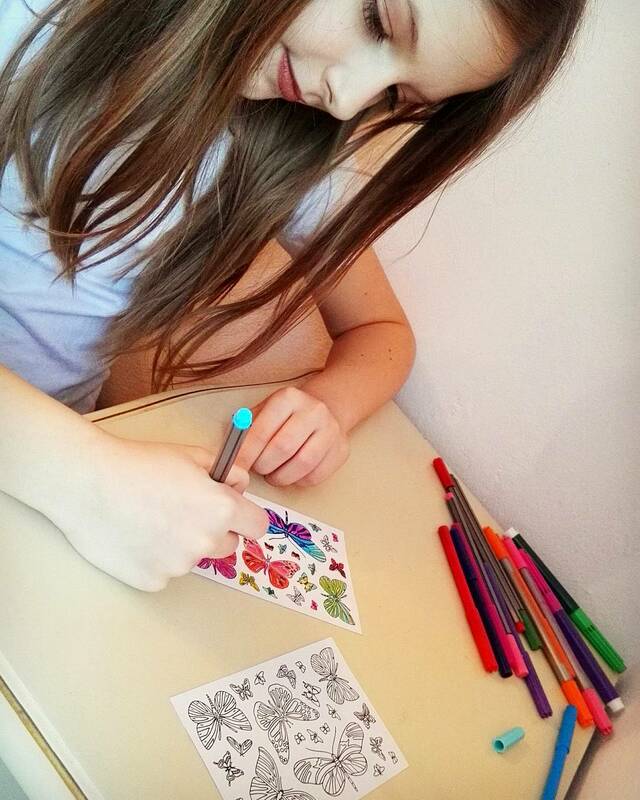 Love coloring and stickers! 🙂 Thanks!